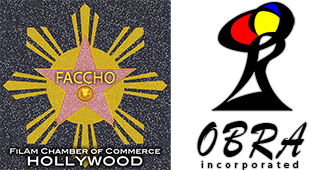 Los Angeles, CA., January 2, 2019 — In an effort to grow and unite the Filipino American Community, OBRA Incorporated has teamed with the Filipino American Chamber of Commerce of Hollywood (FACCHO) to update and create new contents for the FilAm online media portal, Pinoy California. We will host a wide variety of information and news ranging from Filipino Food in America to Filipino American filmmakers. We plan on bringing other organizations on board to contribute content therefor creating a community of well connected and knowledgeable Filipino Americans. Sewing in the news of various FilAm organizations, leaders, and supporters will bring forth their insights into newsworthy articles. 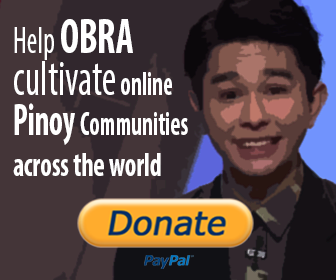 Through OBRA Incorporated, we received a Google Adwords of $10,000 a month to market the website as part of the organization's vision of promoting Filipino heritage. This grant is a big part of what will bring the FilAm culture to the forefront of popular culture. The only thing missing is you. If you are interested in contributing content or discovering more about us, please inquire within.